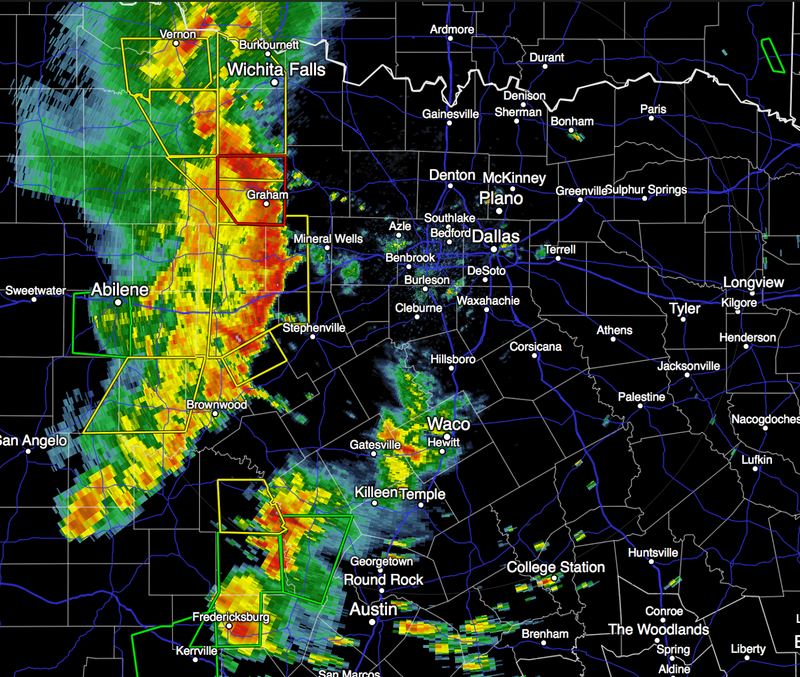 A line of violent thunderstorms extends across central Texas. It is producing damaging winds, a lot of dangerous lightning and some hail. It will also produce brief tornadoes. Now, look at the bottom of the screen. Those storms are not only producing heavy rains, they have the potential to produce more severe tornadoes as they move NNE. Please keep up on the weather in Texas, especially the I-35 region, the rest of the afternoon. Scroll down for precautions.